If you need medical help fast but it’s not an emergency call 111 (You should call the NHS 111 service if you need medical help fast, but it’s not a 999 emergency). You will be assessed, given advice and directed straight away to the local service that can help you best. 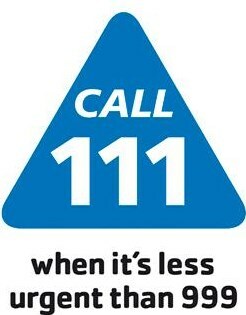 Calls to NHS 111 are free from landlines and mobile phones and is available 24/7, every day of the year.